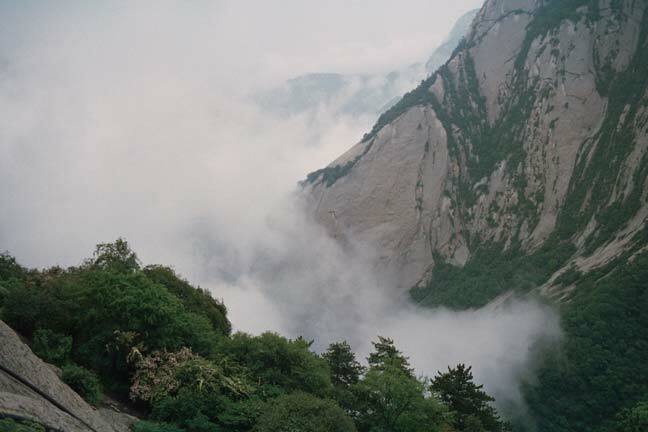 A lovely view from Hua Shan, above the "Cloud Sea." A favorite part of the scenic trail. Our trip leader, Rebecca Kali on an optional part of our travels. Rebecca and our guides on a scenic path. "Lucky Locks" and chain alongside a mountain trail. Lovely peaks viewed through the "Cloud Sea."